I liked this book a lot. Maggie Bolitho has the sort of innate gift for the written word that makes my editing/critiquing hat fall off unnoticed, allowing me to just read and enjoy, which is, of course, the best way. 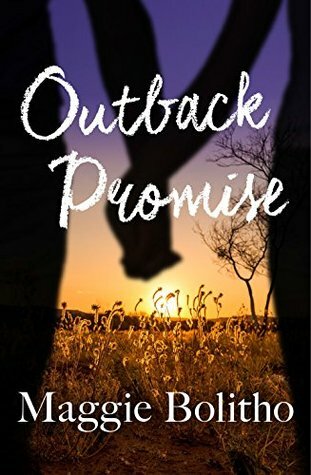 Outback Promise is about the marriage of Ros and Grady. 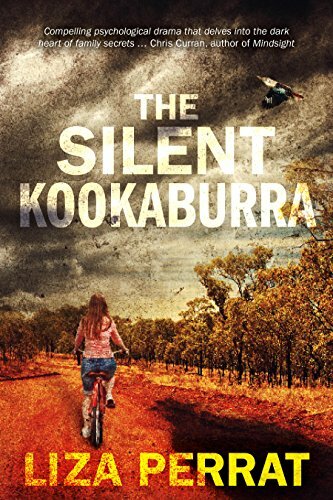 Six years after their four year old son, Cadel, was killed in a tragic accident, their marriage has faltered, and they decide to go on a three month trip across the Australian Outback to ‘find each other’ again. This story was not one that immediately appealed to me as a story about a family losing a child is possibly the last sort of book I’d want to read (I am childfree and like to read for escapism, mostly! ), but the Outback aspect appealed a great deal, as it’s something I’d love to do. I was pleasantly surprised. The first half of the book follows one of my favourite structures: alternating chapters between past and present, to show how the characters got to where they’re at now. I didn’t find the bits about Cadel’s death and Ros and Grady’s subsequent pain to be something I had to wade through at all, as I’d feared; Ms Bolitho’s writing is clear and spare, never wordy or contrived, and it was actually very moving. The Outback trip starts approximately half way through and at first I feared that I was about to read pages and pages of emotional zig-zagging, but it picked up quickly, with two notable highlights: a ghastly couple called Nestor and Max who they met at one campsite (I loved them, a terrific piece of writing, they were drawn so perfectly I could actually see them! ), and an encounter with a couple of poachers. I very much enjoyed reading about the trip; I would have liked to read more description about the landscape and how they reacted to it, but that’s only personal preference; the book is about the marriage, after all. My favourite characters tended to be the secondary ones, but they all ‘worked’. I didn’t particularly warm to Grady, and only a little more to Ros, who I found a trifle self-absorbed, though this isn’t a criticism of the book; Ros is a woman with much ‘baggage’, and she began to understand herself better as the story came to a close. There was one incident near the end that really spoke to me. Grady had been out on a boat with friends, she’d stayed behind because she suffered from seasickness. Afterwards she was expecting him home and wanted to do the romantic dinner thing, but he stayed in the pub, having a rip-roaring time with his friends. He wanted her to join him, but she said no, because it didn’t fit in with her idealistic image of how their evening would be. I wanted to shout at her, “Go! He wants you to be there, think about what he wants and be spontaneous!” ~ because Grady didn’t want a ‘romantic’ meal, he just wanted her to join him. 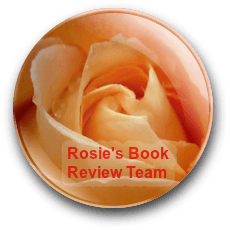 I was completely absorbed in the story all the time I was reading this book, and would recommend it to anyone who enjoys a well-written, contemporary, relationship-based drama. I’ll certainly read more by this author. Let’s find out more about Dallas and his book. I live in Eumundi which is a small hinterland town on the Sunshine Coast in Queensland, Australia. It’s just north of Brisbane. 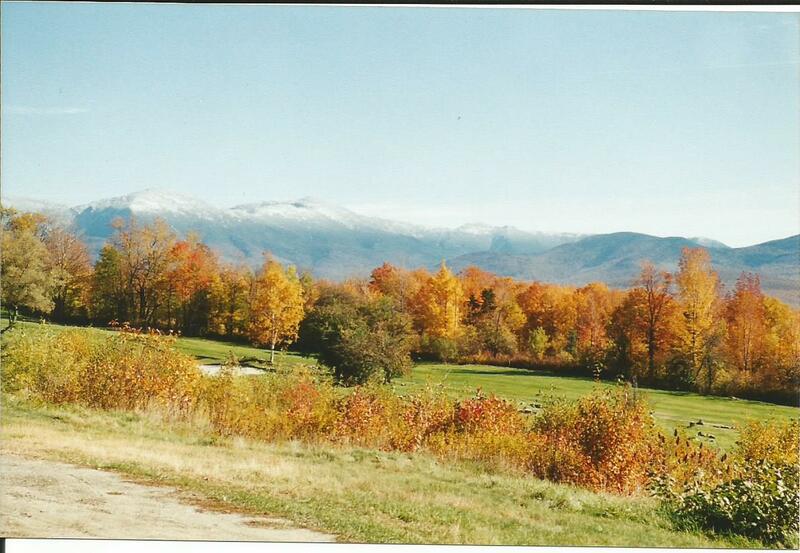 The weather is great all year round, not too hot, and not too cold in the winter. There is some talk of Eumundi becoming a Book Shop town. This will be amazing, especially for local authors. The town is also known for its thriving market which operates Wednesdays and Saturdays. I always loved to write when I was a child. Then I had a break for many years while working in various jobs. It was not until I began to study Literature at university that I rekindled my love of writing. 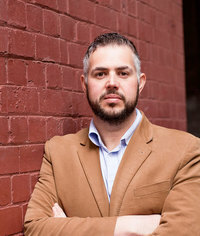 So, to answer your question, I’ve been writing seriously for about 18 years, but not putting out anything for publishing during much of that time. Most of my writing has been academic: essays, plays, poetry, that sort of thing. 3)What is the one idea which started this book? 4) Tell us about Ogam. There are many variations on the origin of Ogam Script, or Ogham (pronounced O em). From a mythological point of view, and one that I like, it was an alphabet thought to be used by the ancient Druidic Celts. There are about 25 letters in the alphabet and these were used to pass on ancient wisdom and knowledge. The letters was usually inscribed onto a wooden staff carried by Shaman/poets. A series of lines, or cuts, were made on the edges of stones and pieces of wood. There were several of these Ogam alphabets; the most widely known was one where each letter related to a sacred tree. Others related to people, places and objects. Ogam was also used to mark boundaries of property, whereby letters were carved into stones. Variations of Ogam Script can be found in Ireland, Wales, England, and Scotland. Other sources report that Ogham was the invention of Oghma the legendary champion of the early Irish race of the Tuatha De Danann. Much later sources report that Ogham originated in fourth-century Ireland and Britain and that it was primarily derived from the Latin alphabet, and also from Nordic runes. Whatever the case might be, I like to think that it is a magical alphabet that might pop up again and again in fantasy stories. Hence, my inclusion of it in The Greying. 5)You have some great creatures in the book can you describe the Homunculi and the Firbog to readers? I’ve named the Firbog after an Irish mythological race, the Fir Bholg, because I like all those tales about the earliest peoples who invaded and conquered Ireland, and who were in turn forced to flee by subsequent invaders. 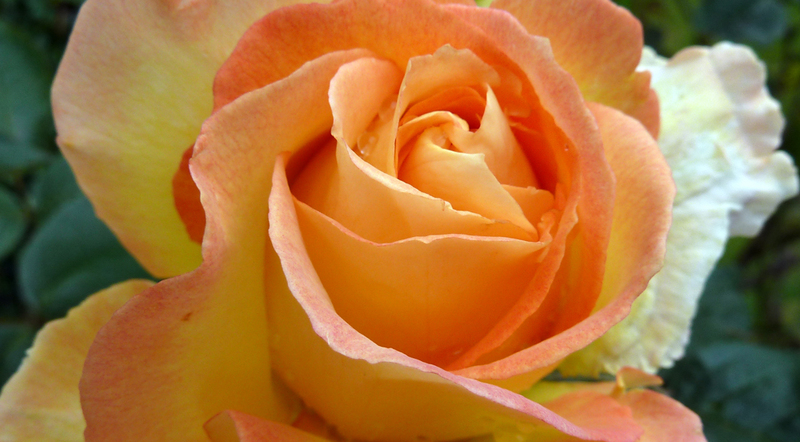 There is a great sense of mystery which surrounds their physical appearance and also their magical abilities. My Firbog, of course, are an entirely different kind of race. There is some magic that goes with them, but they resemble canines in their facial appearance, and the thick fur-like hair which covers their bodies and limbs reinforces the idea. The Firbog are warlike and tend to bark quite often. An Homunculus is a little man, or manikin. He derives from the middle ages and the word has its roots in Latin. Alchemists first defined the idea that a human spermatozoa or egg-cell could contain a miniature preformed human being (preformation). In this sense, if that were possible to do, then the little man or homunculi could be made and enlarged to a certain degree, and would then be available to do the bidding of the creator. My Homunculi are puppets of the evil Queen Berilbog who has created them. Or has she? I guess you will have to read the book to find out. They are small, stealthy, and sinewy, and are commanded by the Firbog. In The Greying they are able to fly on the backs of the many-headed-winged-things. They know how to fight, too. I had a lot of fun bringing them into being. 6) Who are the Pitterpatterdell? These creatures are gatherers of people’s souls. They do the bidding of their masters, the Fair Folk. Pitterpatterdell also tend the gardens inside the City of the Fair Folk and look after the sacred stream. Soul gathering is carried out in Dead Wood, although not many people travel to Dead Wood these days, so there is not a lot of soul gathering to be done. 7)What has happened to the Senescent tree? The ancient Senescent tree is near the end of its life, which is what the word ‘senescent’ actually means. It is no longer capable of reproducing. The trunk and branches of the tree hold the wisdom of the Pictish people. There is much magic to be learned from the tree if only Josh O’Tosh, the last of the warrior Pictish priests, is able to receive more instruction. Josh’s role is to guard both the tree and Dead Wood. He doesn’t want the Bigriverlanders to cut it all down for firewood or farmland. 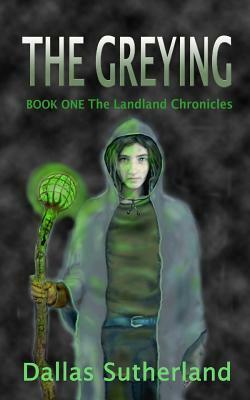 The whole wood is dying, and Teah must find a way to help Josh bring it back to life. 8)What was your favourite character name in the book and why? I like the name, Dalff. I think it’s because Meah calls him two-effs from time to time. Dalff sounds like an old name that should belong in a faery tale or a fantasy story, but it also has that modern, trendy double-f on the end of it– you know, like a lot of new made-up names these days. 9)Give us a hint about the next book in the series. In the next book (it might be called The Thinking) Meah gets to combine both the power of the thinking and the magical properties of her mother’s Book of Colours with some surprising results. The Biggo disappears and returns from time to time, Auntie Beryl makes a grand re-entry, the Firbog push forward with the greying, and Landland is in confusion. I introduce some elves, giants, trolls, and a few other things. Readers will find a lot more metafiction here as well. It’s all designed to work towards the master plan, but you might have to wait for the third book to find out who is really in control of the master plan. If you sign up on my website to The Biggo’s email newsletter about The Landland Chronicles, then the Biggo will send you a free poster map of Dead Wood. Thank you Dallas and Good Luck with the next book. Let’s find out more about Penny and her book. Gold Coast, Queensland Australia. Though I was born in Toowoomba, grew up in Central Queensland and live for a couple of years in Europe. 2) Is this your first fiction book? It is my first published fiction book. Over the years I have started a few but they were never finished. Before this I published four textbooks on computer science, artificial intelligence and computer game development. 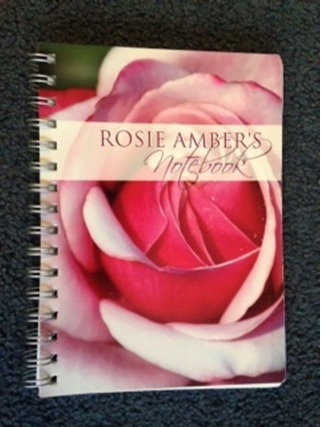 3) What was the one idea behind the book? The main idea behind “Lost Souls” is that there are phenomena in life that cannot yet be explained by science. 4) Tell the readers what was strange about the people who were dying? Otherwise healthy people were dropping dead without warning and all found with amniotic fluid in their mouths. The liquid that surrounds the developing baby in the womb. 5) How had the people for the 5 year Antarctic experiment been chosen? They were chosen from an international pool of experts in their field. There was an interview process and the CEO of the biotech company held numerous Skype interviews with the researchers before selecting them for the expedition. 6) What as going to be the biggest challenge in the dome? The biggest challenge while living in the hermetically sealed environment was to become self-sufficient with respect to food production. As is revealed during the story other considerations such as physical, mental and spiritual health of the inhabitants is as equally as important as nutritious for the smooth operation of an enclosed social environment. 7) How did Zoe get her team to Sydney if the case had been closed down? When the case was closed the first time, Zoe and Nick “took a vacation” to Sydney as Zoe knew in her gut there was more going on than first revealed. 8) What lines did they cross to get some of their evidence? Zoe and Nick pose as a pregnant couple to gain access to a medical clinic while they are not officially on duty. Nick illegally obtains medical records from an unmanned computer terminal and later in the story, Zoe breaks into a records archive to gather the evidence they need to support their case. 9) Will we be seeing more about this off-world experiment in a second book? In the second book “The Chaldean Legacy” the characters find themselves running the first fully functioning space station orbiting the sun halfway between Earth and Saturn. The team are involved in experiments to examine off-world food production and waste reclamation. They are also involved in in-situ resource utilisation (ISRU) in which minerals and ice are mined from nearby asteroids. In addition, the space station is begin used as an off-world genetic repository for storing a library of all life on earth. 10) Where can readers find out more about you and your writing? Thank you Penny and Good Luck with the next book. 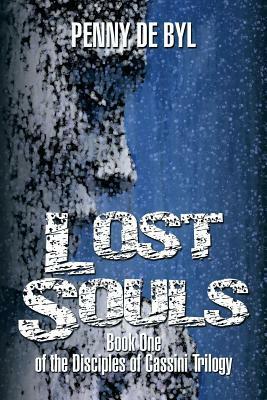 Lost Souls begins in Melbourne, Australia with the puzzling cause of death of David Layton. We are introduced to Detective Inspector Zoe Moore who will be leading the investigation. Next the book introduces us to Marcela Warrick arriving in Sydney at Everjein Enterprises. She is an ecologist and is about to go on a five year experiment to simulate the possibility of inhabiting and surviving on other planets. In a world race to create off-world technology Everjein have created an experiment in Antarctica and a carefully selected team are about to spend the next five years in Biojein, learning to grow their own food and continue the human population, replicating a situation similar to living on Titan. Marcela meets fellow Biojein inhabitants and in just a few days they find themselves in Antarctica. Meanwhile Zoe has a second body with a puzzling cause of death. Farid Husain died at exactly the same time as David Layton. Research into both men revealed letters from Everjein Enterprises. When a third body turns up, Zoe’s investigation is shut down from above. But it doesn’t stop her and the team going to Sydney themselves to continue digging into an IVF system which looks like it links people dying at the same moment a mother gives birth. They uncover a drug called JQ2 but the doctor they really need to speak to is unavailable for the next five years. In the Biojein dome complex the inhabitants must adjust to growing their own food. An IVF program is also underway with experiments on a hormone to speed up the human incubation period. But there is also a sinister side to the experiment. Marcela has a suspicious accident and something in the water killed her plants. She quickly begins a relationship with Barrett and finds herself pregnant. But most shocking is finding Jason Reid naked and near to death in the gardens. Constans Rijnder the Dutch Counsellor for the project must try to help keep things under control as Barrett is left in charge of the project and becomes under increasing pressure. Back in Sydney, Everjein’s lawyer Warfield tries to keep the police at bay and the media quiet but with eight day communication blackouts and hours of delay between messages to simulate the off-world experience it’s a hard job. On top of this as the police dig deeper he too wonders if Barrett has been breaking the medical ethics law with his IVF programmes. This book is an interesting concept with the off-world experiment. It took a while for me to connect with several of the characters. The science and the medical details are very good and reflect the author’s background. I picked up on Azaleas and Rhododendrons being used to describe the same situation. To me they are the same plant family but one is a large plant and the other a small shrub, I think one or the other should have been used. I also found a reference to Polar bears which I didn’t think went with the Antarctica region. I felt the book could do with one more run through editing which would take it from a shaking 4* to a more solid 4-4.5*. 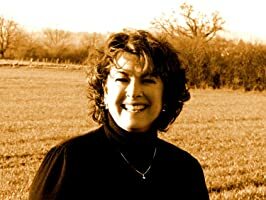 Penny will be our guest author here tomorrow, do come back and find out more about her and her book.